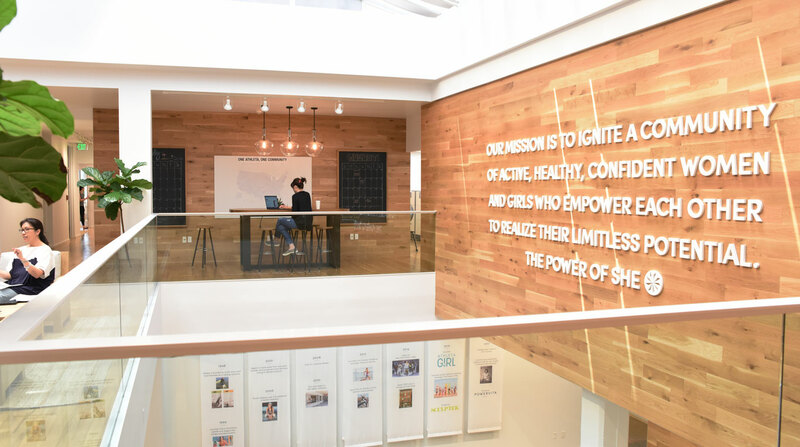 Athleta Careers | Gap Inc.
Our mission is to ignite a community of healthy, active women and girls to reach their limitless potential. Individually we’re strong; but together we’re unstoppable. We believe in innovative design that transitions from work to workout: Created to unleash limitless potential and designed with beauty in mind. 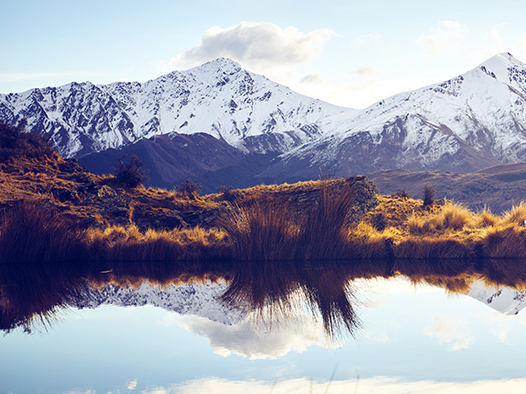 Athleta is a certified B Corp – put simply we place people and planet right up there with profit and we’re committed to using business as a force for good. We’re committed to empowering the women who make our clothes. Through our P.A.C.E. education program and participation in Fair Trade, women are gaining valuable skills beyond the workplace. Alone we are strong. United we thrive. Collaboration is a real thing here. Because we know that individually we're strong, but together we're unstoppable. 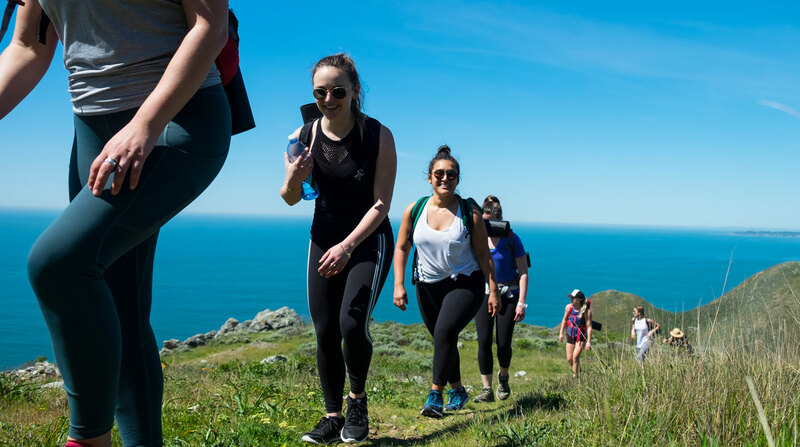 A snapshot from Athleta Quest 2018, when we headed outdoors to come together as a brand and rally around our mission: to help women and girls realize their limitless potential by living an active and healthy life. 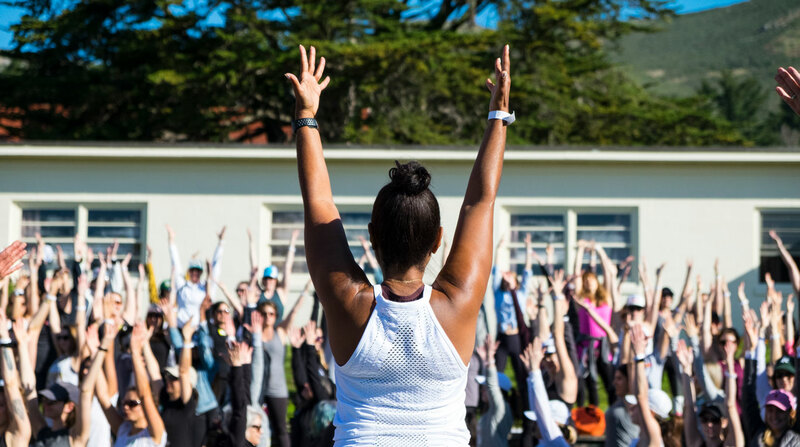 Another look from 2018’s Athleta Quest, where we kicked off the day with some outdoor yoga in San Francisco’s gorgeous Presidio, overlooking the water and the Golden Gate Bridge. Doesn’t get much better than that! 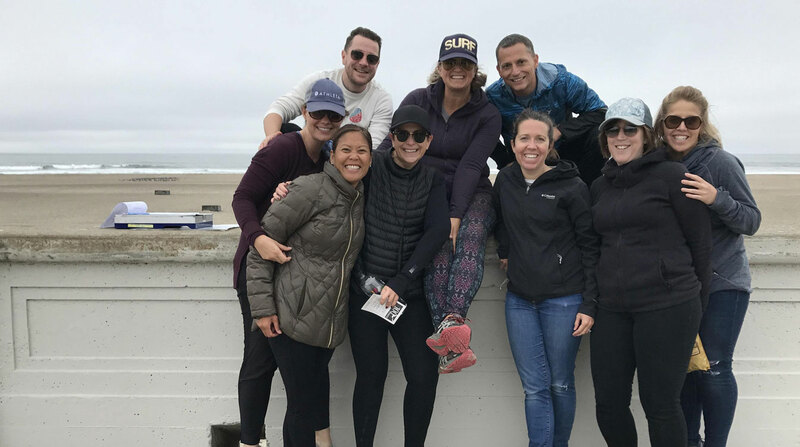 Our incredible recruiting team after a day of doing beach clean-up. 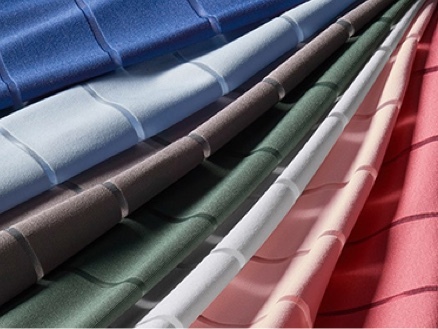 Our commitment to giving back to our communities goes way beyond our office walls. A look inside our newly redesigned HQ offices in San Francisco, with lots of natural light, serene spaces, and room the stretch. A look inside our FIT Studio at our San Francisco HQ. 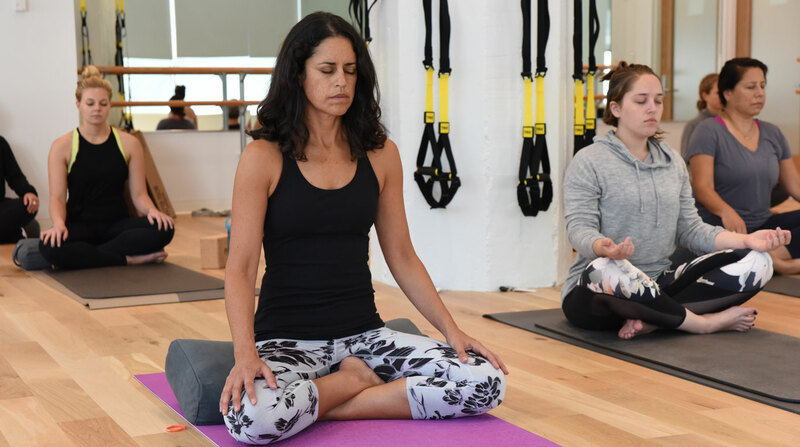 It’s not unusual to find Athleta employees popping down for a midday yoga class or a round of afternoon kickboxing. 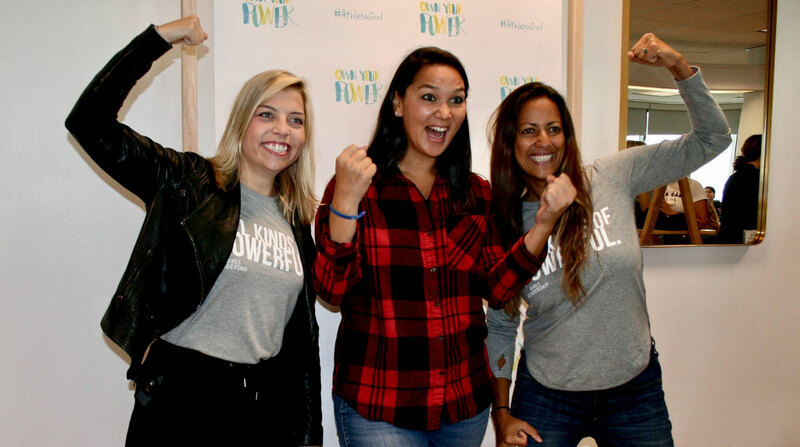 Athleta employees flexing to celebrate serious girl power on International Day of the Girl. 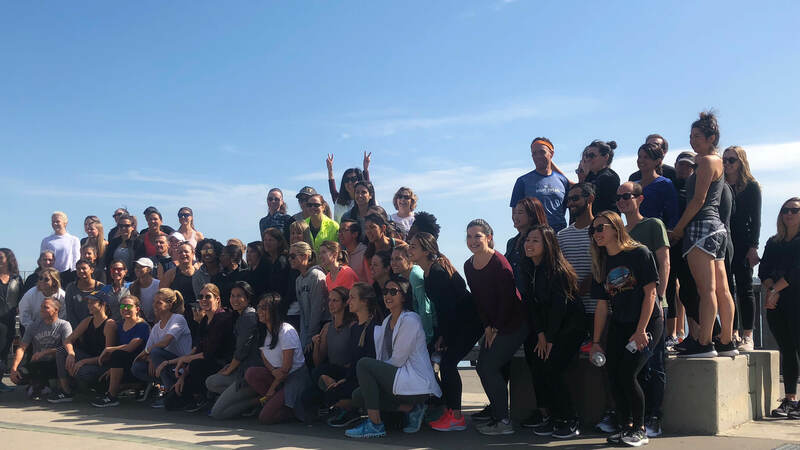 Team Athleta celebrating National Run Day with a 5K run along San Francisco’s Embarcadero. We offer 50% off regular-priced merchandise at Athleta, Gap, Banana Republic and Old Navy, and 30% off at Outlet. If you join our Marketing team, you’ll have one of the most exciting gigs in retail: helping to draw the roadmap for our global brands through a variety of landscapes from ad campaigns to media relations to in-store and digital campaigns. You'll tell our story to help us empower women and girls around the world. AllAthletaGapBanana RepublicOld NavyIntermixHill CityGap Inc.